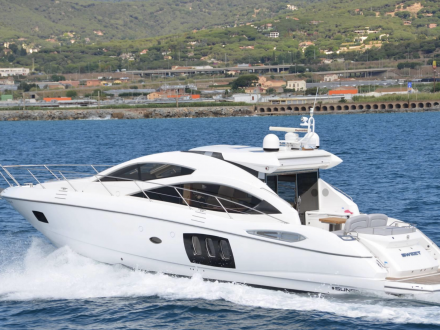 Deluxe Drivers proposes a private tour Provence from French Riviera to discover another face of the South East of France than the Coast. Your English speaking driver will be your perfect guide to see the highlights of Provence just in a day. Starting with the charming town of Aix en Provence, your private tour will cross some of the most spectacular villages in Provence in the Luberon area: Gordes, Roussillon, Isle sur Sorgue. 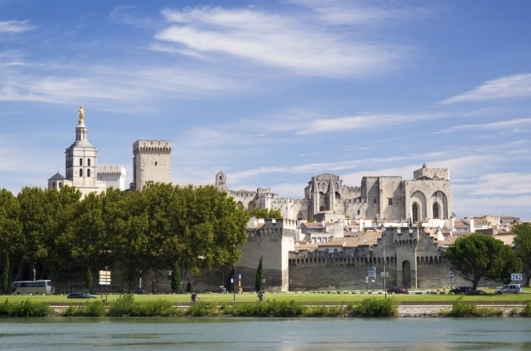 Before going back to your hotel in the French Riviera, Avignon, the city of the Popes will be your last stop. 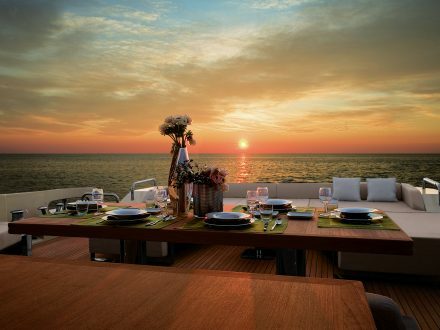 Not included : any entrance to museums or other activities when touring, driver’s meal, food and beverage, gratuities. 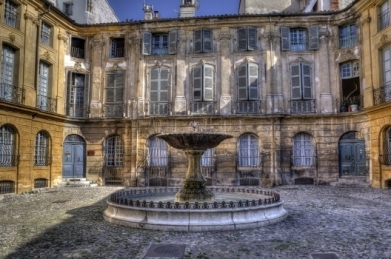 Turned into the “Florence of Provence” by wealthy merchants in the 15th, Aix is a city of art and culture with a superb architecture that has been carefully preserved and restored. Walk along the Cours Mirabeau, the Cathedral St. Sauveur, the quartier Mazarin and its narrow streets, the workshop of Cezanne, the Pavillon Vendome with its garden and furniture, and the Musée Granet. 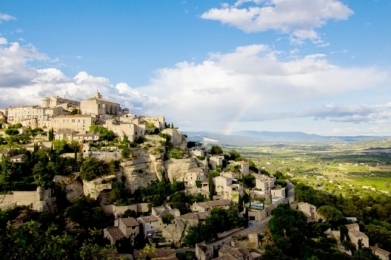 Gordes superbly dominated by the church and the castle fortress facing the hill, its houses of grey and white stone rise up in a spiral around the rock where the village is set. Discover the Bories, ancient stone flat constructions of old doorways, enjoy shopping and local café. 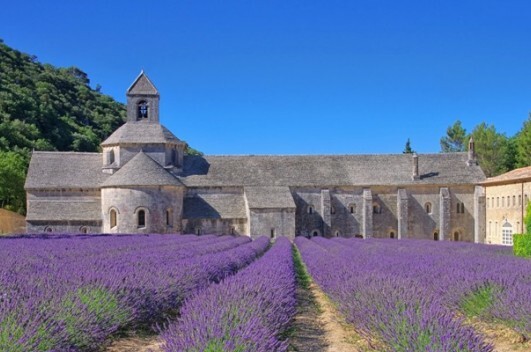 At the foot of the village visit the Abbaye de Senanque and its lavender field. Situated in the heart of one of the biggest ochre quarries of the world, you will have the opportunity to walk through the stunning red cliffs dominating the landscape. 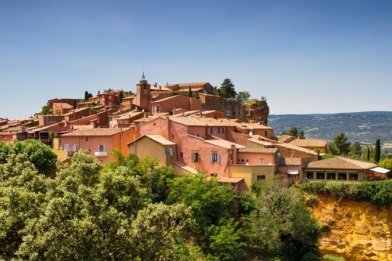 The houses of Roussillon reflect the many different shades of this striking landscape. 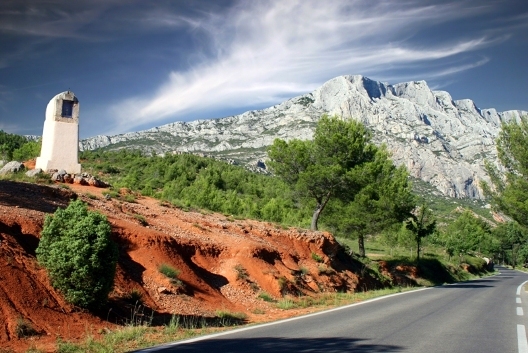 It is one of the most spectacular landscape of Provence that you will discover with your English speaking driver. 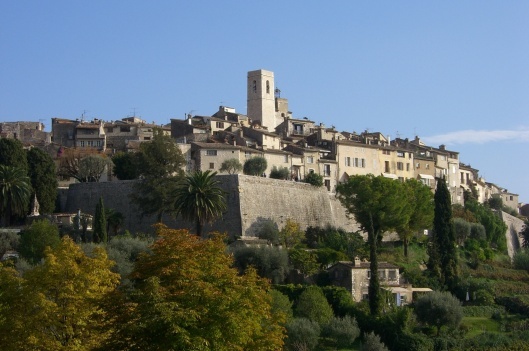 This “island city” lies at the foot of the Vaucluse plateau in the plains of Comtat Venaissin. Indeed, the branches of the Sorgue, little bridges and paddle wheels lend the town a cheerful look, a perfect place for art collectors and antique lovers. 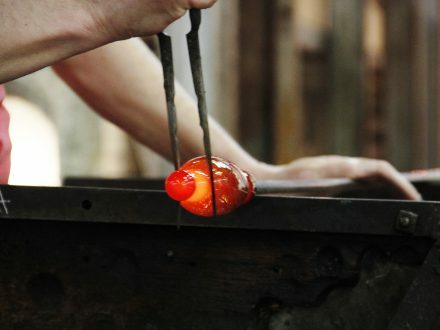 The city counts around 300 antique dealers and hosts antique fairs at Eastern and in August. Prestigious for its history and its summer theater festival, Avignon embraces one of the biggest middle-age gothic palaces in the world, the 14th century Palais des Papes. 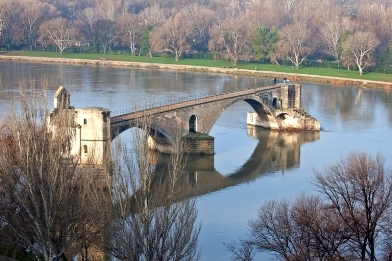 Close by, enjoy a promenade around the 12th century Pont d’Avignon and discover the rocher des Doms and its cathedral. After a last sunset on the hills of Provence your English speaking driver will bring you back to the French Riviera.